Having a puppy is a fun thing, but can also cost a lot of money. From crates to food to shots, and of course to chew toys, puppies can be a burden on your wallet. When we first got Ellie, we were over the moon. Our previous dog, Duce, had passed a few months prior and we were lonely. When Ellie came into our lives, she was a spunky little white fur ball who was loving, sweet, and of course, destroyed everything. We spent so much money on chew toys, and nothing could stand up to our little Akita, Husky, Pit Bull mix. Being a mix, Ellie has the wide Pit Bull jaw, and she shredded every toy. We bought her stuffed animals, Kong toys, Nylabones, and even real bones, but nothing could withstand her power chewing... until now. A few months ago, I found out about Bulletproof Pet Products through Facebook. 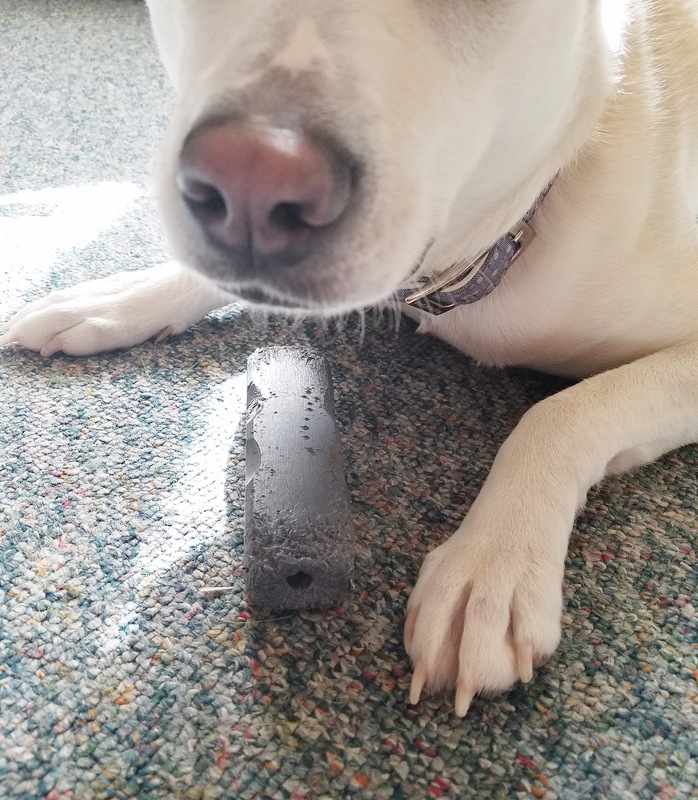 I had seen one of their sponsored advertising posts advertising their Indestructibone, and I was intrigued for one reason: they advertised that the Indestructibone was a virtually indestructible chew toy for power chewers. After reading about the company, I contacted them to do a review. Of course, to be honest, even if they said no, I would have probably bought one for Ellie. 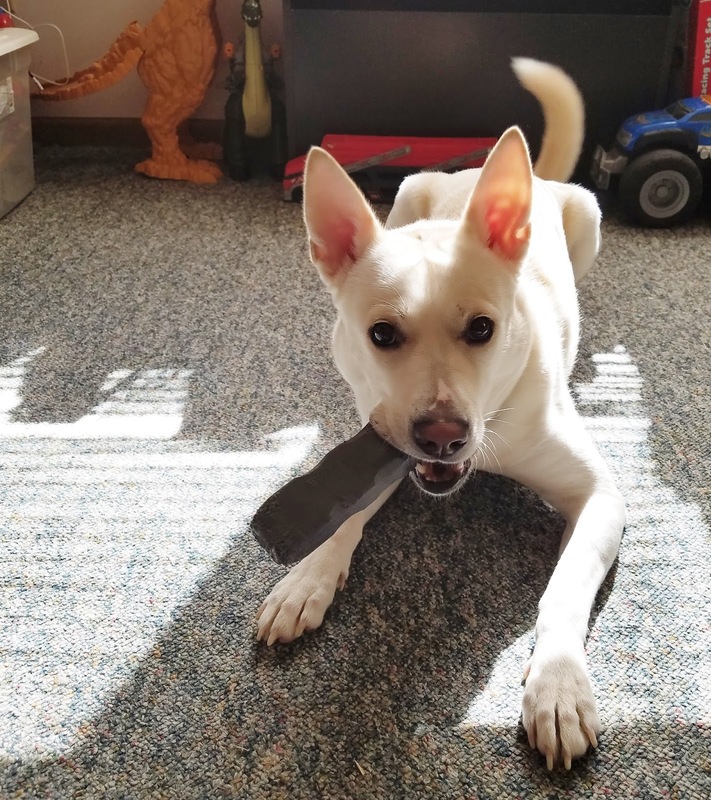 Bulletproof Pet Products, LLC, was founded because after raising and rescuing dogs for 13 years, the owners had a hard time finding chew toys that didn't empty their wallets. They began the journey to develop a chew toy that could stand up to the heaviest chewers and would be as close to indestructible as possible, and the end result was the Indestructibone. The Indestructibone is made in the USA with material made in the USA. It is made of a non toxic polymer which is free of BPA and flavorings, which makes it hypoallergenic for dogs with food allergies. The product has also been tested by many breeds of dogs. The chew toy is hard, but is softer than real bone and antlers. It also does not contain any abrasive material. Due to the materials that it is made out of, the toys last longer without the risk of splintering or damage to your dogs teeth. When I first received the Indestructibone, I was surprised. The toy I received was the XL and had a small hole on each end so that I could add a favorite treat. It is grey in color and has no flavor or scent. I honestly didn't think that Ellie would like it... but I was wrong. She loved the Indestructibone and still does. After having the chew toy for about 5 weeks, I am proud to say that the only damage to the toy is some teeth marks at each end. Ellie chews on the toy almost every day and the only thing I have noticed is some tiny pieces, which is normal. According to Bulletproof Pet Products's website, "It is normal for the Indestructibone to flake off in tiny pieces about the size of a grain of rice. This material is safe and will pass." 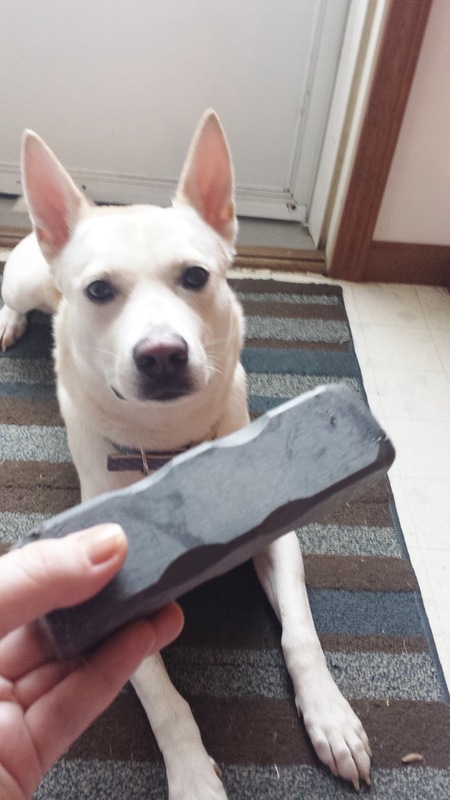 The Indestructibone comes in a variety of sizes and in two types: solid or with small holes on each end for treats. They also sell multi-packs to save a few bucks. Price wise, the Indestructibone is comparable to other chew toys, but cheaper than natural antlers. The prices range from $15-68, depending on the size you buy. The sizes are recommended by the company, based on a dogs weight. For example, the size I received was the XL, which is recommended for dogs 30-50 lbs, and costs $24.50. *It is important that you buy the correct size for your dog so that it will last a long time and be a safe size for the size of your dog. 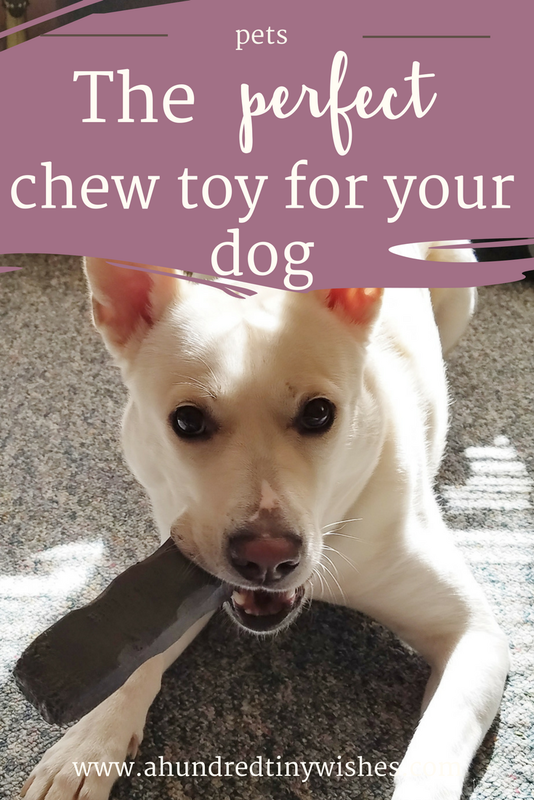 Also, their chew toys are recommended for dogs ages 6 mos and up. Bulletproof Pet Products offer a 90 day – 1 time replacement guarantee. If they determine that your Indestructibone is in need of replacement, they will replace it for no charge up to 90 days after you receive it. 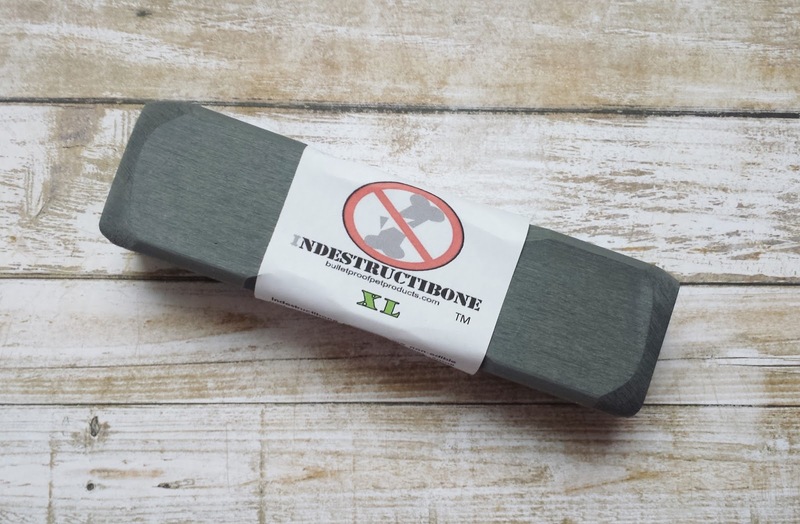 I would definitely recommend the Indestructibone to anyone with a power chewer. The chew toy has already outlasted many of Ellie's chew toys, and is still in great shape. Disclosure: This is a Sponsored Post. 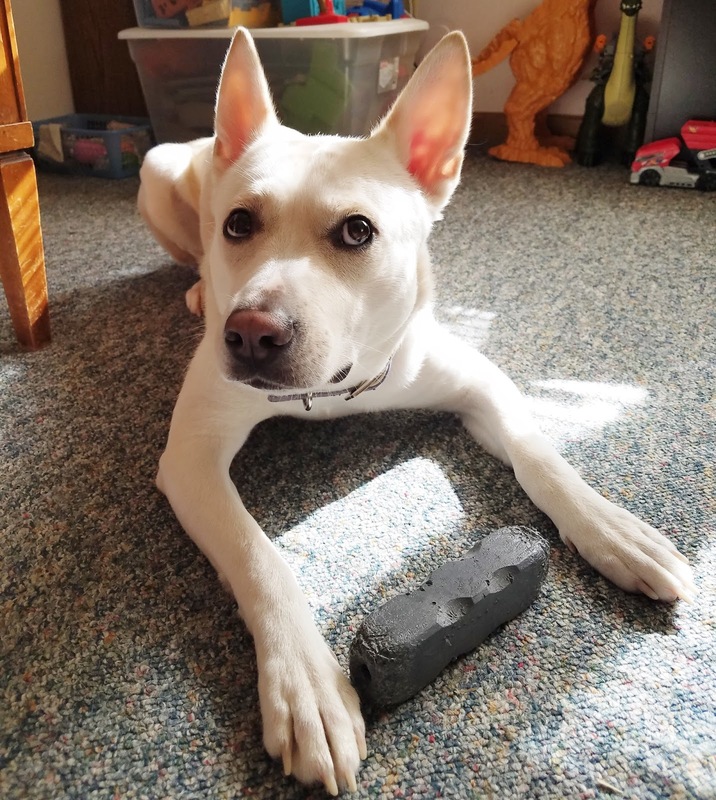 I was given the Indestructibone shown in the photos above via Bulletproof Pet Products, LLC in exchange for an honest review. The opinions I have expressed in this post are 100% my own.